The IS23SC4442 Smart Card provides 256 bytes of serial EEPROM accessible by reader. This Smart Card also features a 3-bit error counter and 3-byte programmable security code to prevent unauthorized write/erase operations to the card. 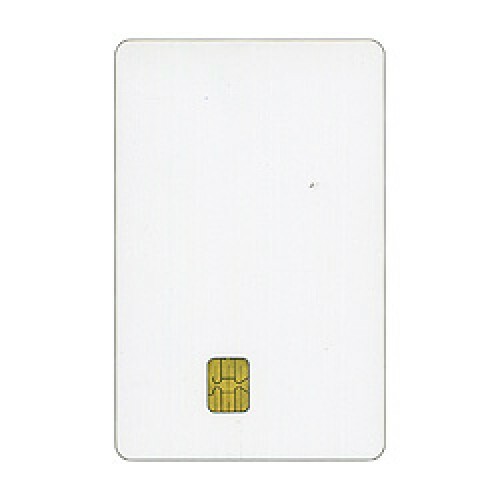 The IS23SC4442 Smart Card is the size of a standard credit card. The pins of the IS23SC4442 are accessible through the gold plated contact pads embedded in the card. When paired with the smart card reader connected to the I/O pins of microcontroller, the Smart Card can be used for data storage, security systems, tracking systems, or identity authentication. We also carry other smart cards. This EM-4100 family product is designed to work with the RFID card reader serial/USB ..